A stroke is a reduction in blood supply to the brain due to a blockage or bleeding in the brain. Rapid treatment—within three hours of the first symptom—is crucial. 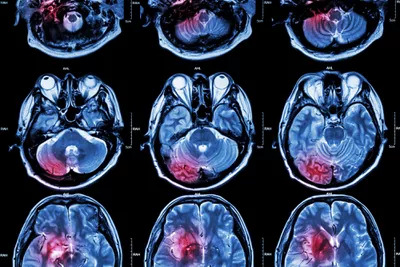 Stroke symptoms come on suddenly and include trouble speaking; confusion; weakness, numbness, or paralysis on one side of the face or body; vision problems; severe headache; or trouble with walking or balance. What can you do to lower your stroke risk? Here are a few ideas to get you started. My husband suffered a massive stroke two years ago. Grady wasn't that old (59, at the time) and he was in pretty good health. He was a few pounds overweight, but he wasn't a smoker, nor did he have a family history that could help us make sense of what happened. When I first went to the ER, my elevated blood pressure was chalked up to "holiday stress." A new study says that instead of acting FAST, we should be acting FASTER.